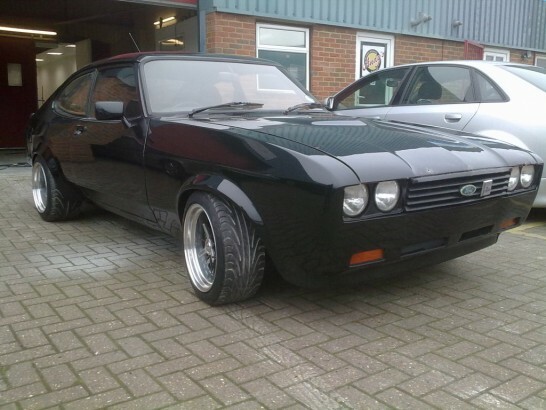 This car was originally booked in to have custom steel arches made to cover 10 inch rims, however by the time it reached us it had been in a couple of accidents resulting in a wrecked front valance, a crushed o/s sill and floor, and a folded rear quarter. 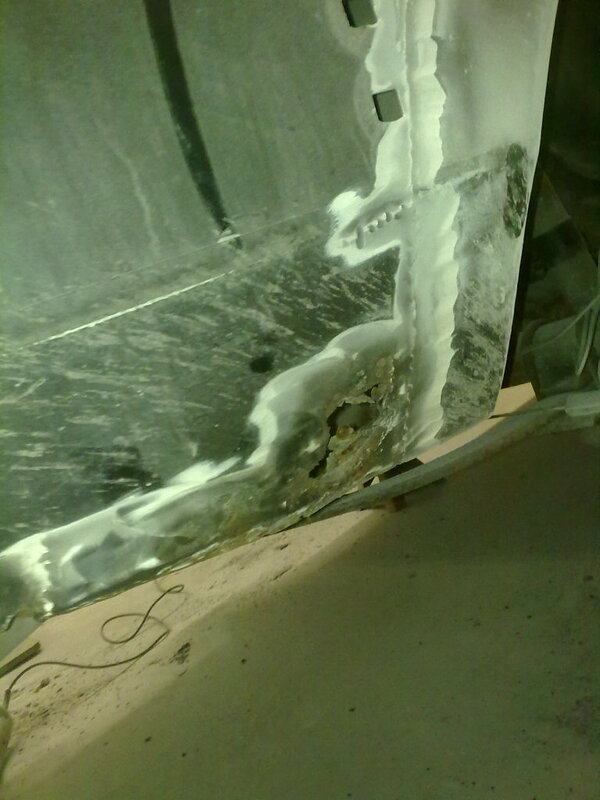 There was an extensive amount of corrosion on the inner sill and leaf spring mounting point. 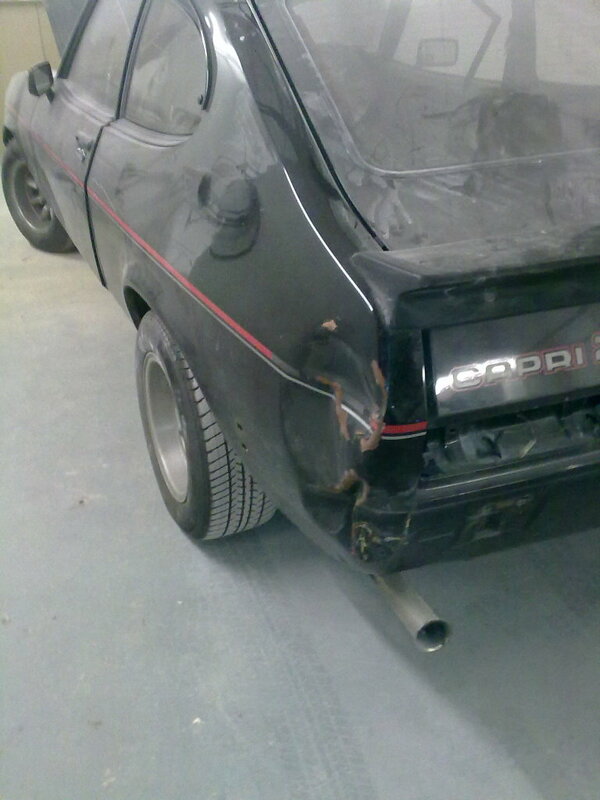 A new section of chassis was fitted and a portion of the floor and inner sill replaced, the outer sill was then fitted. 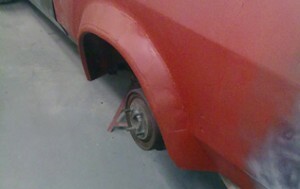 Before the arches could be fitted the damaged areas needed to be repaired. 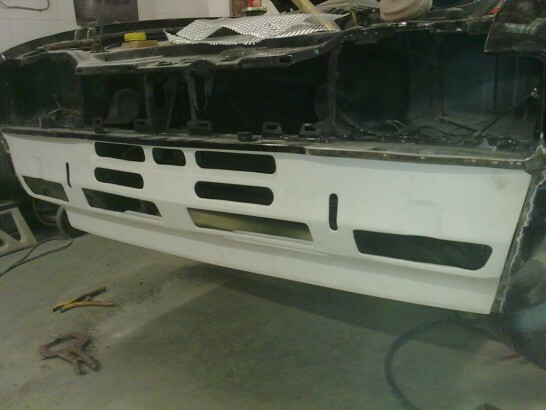 A fibre glass front valance was used to replace the damaged one. 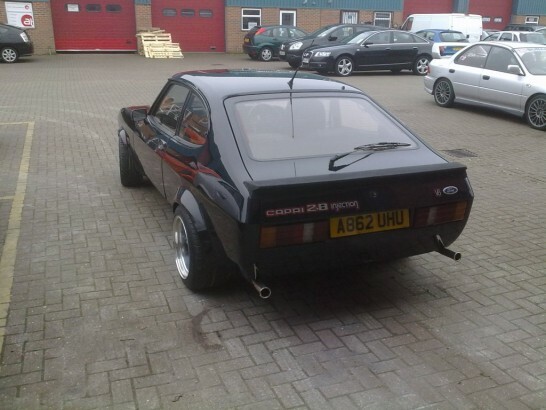 A section of rear quarter was donated from a scrapped Brooklands and grafted on to replace the damaged rear quarter. With the repair work completed the custom arches could be fabricated. 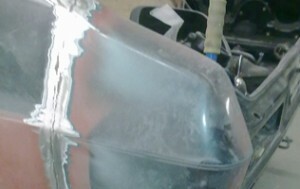 The front arches were widened by welding in a steel band. 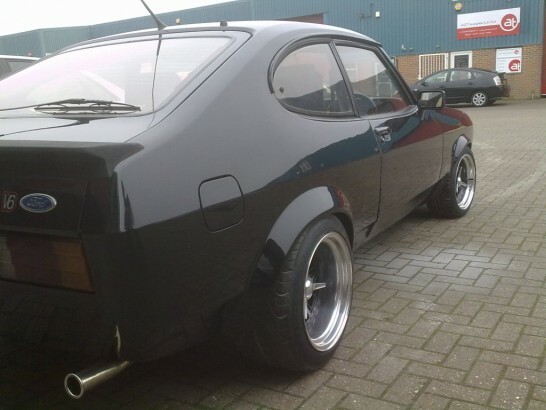 The rear arches needed to be much wider. 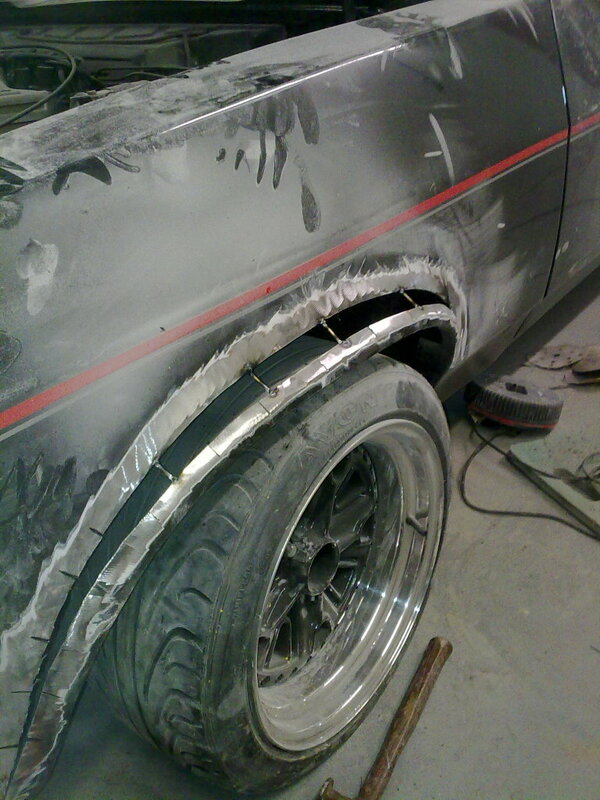 Front arch lips were narrowed and fixed into place with a larger steel band. 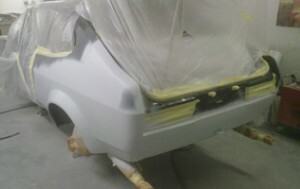 Ryan wished to have the front and rear de-bumpered and smoothed out. 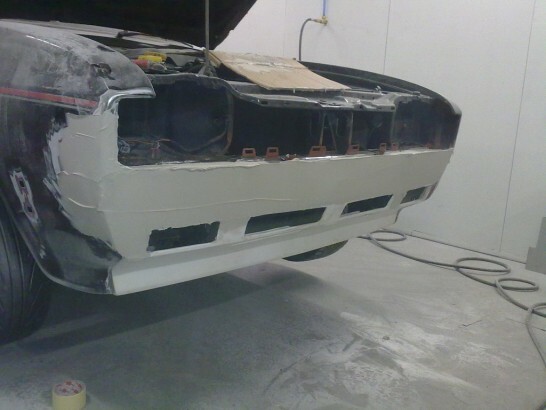 The wings and front panels were refinished. 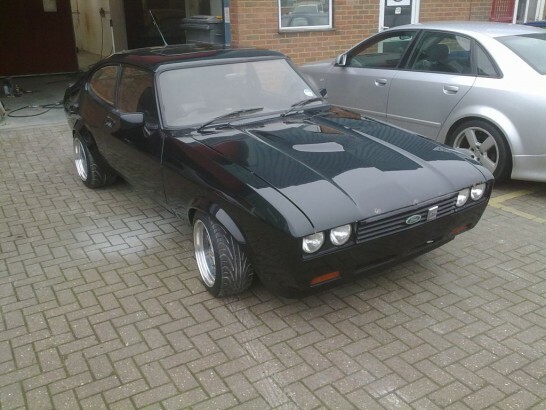 … and possibly finished in white with maybe a few more mods! Watch this space!